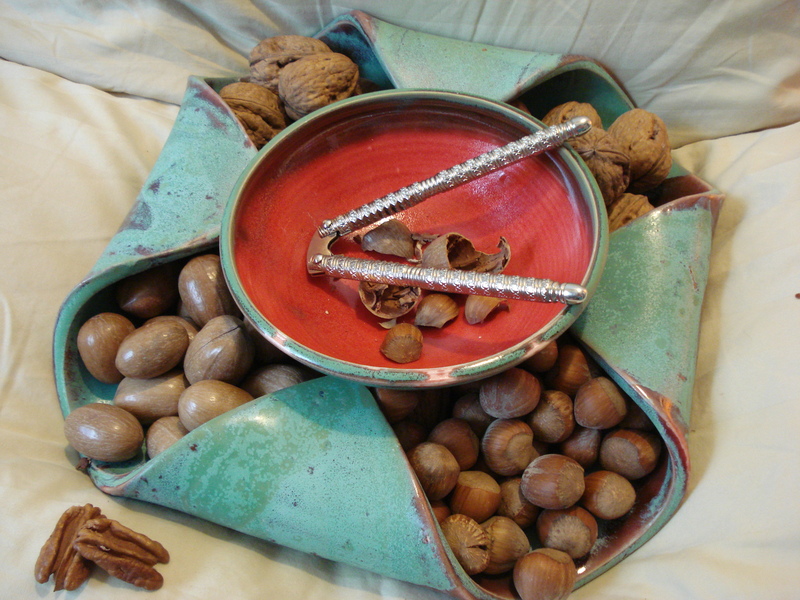 Kelly and Adam made me this gorgeous two-piece nut bowl set. I requested it as a special piece after I saw this pistachio dish and wanted something handmade. 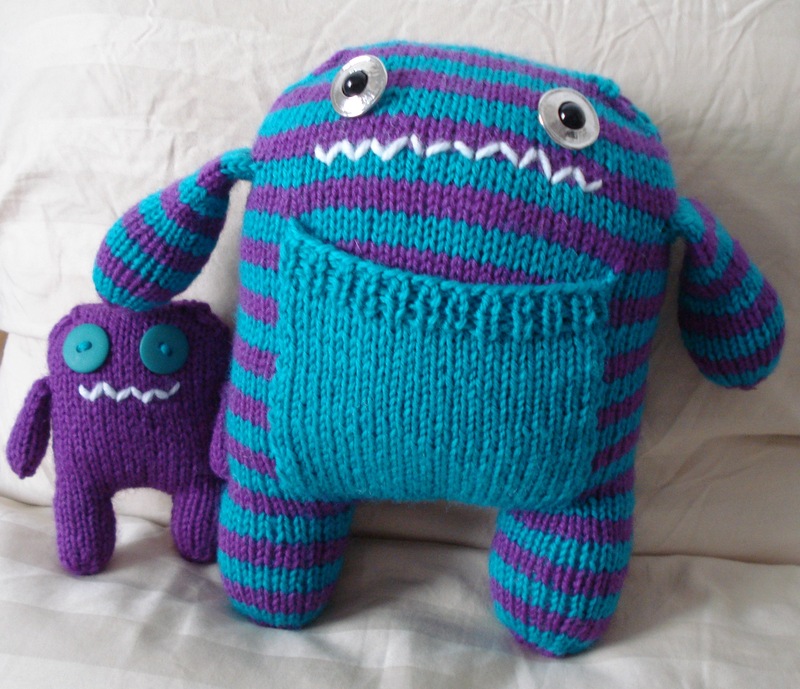 Kelly offered up a trade, so I knit this Stripey Monster Mama and Baby set for her boys. The true colors are closer to red-violet and a peacock teal. 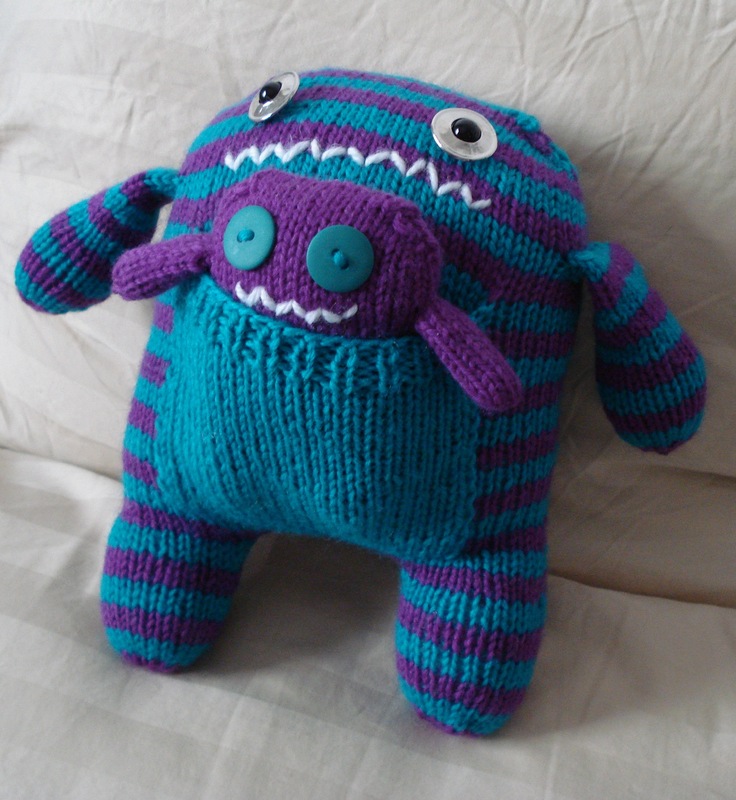 The pattern is by Rebecca Danger, and you can see the set I made nearly 2 years ago for the Boogedy Here. 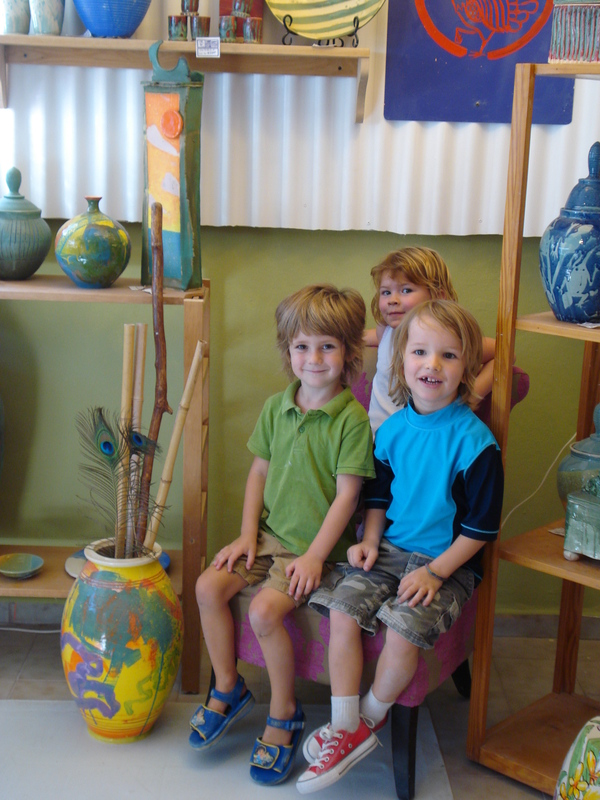 Here are the Boogedy and his friends S. and S. at the pottery studio!